Can SharePoint Online Replace a File Server? Not only can SharePoint Online effectively replace file servers, but it’s a far better option, especially for any organizations looking to get the most out of their data. Perhaps the biggest adjustment for users-which ultimately makes Sharepoint Online easier to navigate and organize -is the existence of Team Sites as opposed to top down directories. While this interface will be a new experience for users migrating away from their on-premises servers, the structure of these sites ultimately empowers teams looking to emphasize collaboration. By centralizing files required for team projects, SharePoint Online’s layout is structured to help users access collaborative files as simply as possible. Sites do away with the complex and difficult-to-navigate folder structures and inefficient sharing protocols that haunt those using on-premises servers, and can even derail a team’s productivity entirely. Because SharePoint team sites are often new to users who have just migrated, Microsoft offers a strong and regularly available support resources that helps users navigate the interface, and avoid issues like broken inheritances that run the risk of derailing permissions and collaborative projects. This support can also help users take the most advantage of the Team Sites structure. Because of how flexible Team Sites can be, there’s no need to restrict the sites to the rigid structure of an organization’s departments. 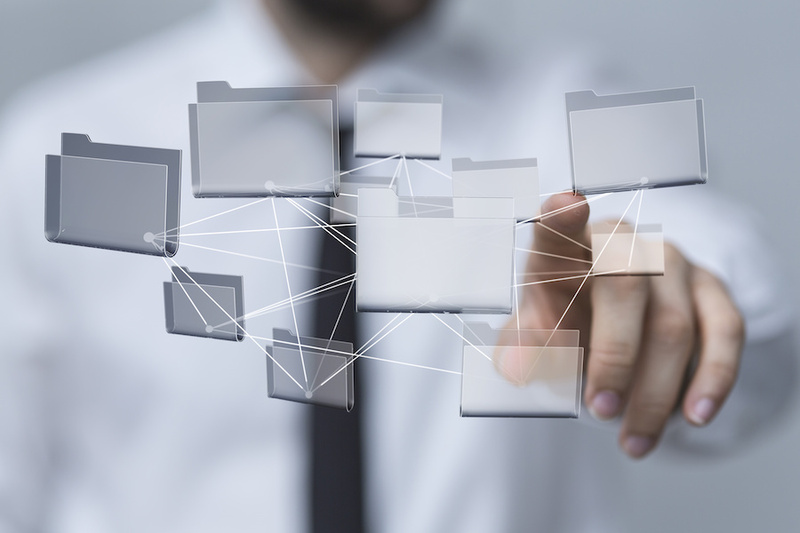 While file server storage and traditional directories are often forced to adhere to department-based folder structures, SharePoint understands that that’s often not how projects are conducted, and that collaboration across departments is often necessary to organizational success. With a large organization, a directory can have tens of thousands of directory entries, while a similar sized organization could have hundreds of individual sites. SharePoint Online provides users with a centralized hub and administrators with an admin console that allows for easy management of permissions and site structure. On-premises servers and even other cloud collaboration platforms fall short in comparison to the organizational power of SharePoint Online. The control this admin console allows-especially where permissions are concerned-allows for heightened security for user data. Because admins are able to dictate specific permissions, as well as how certain files can be shared and edited, organizations using SharePoint Online have an increased level of control and security for their files. There’s no need to worry about documents being seen, shared, or changed by those who should not be able to do so, and the ease-of-use of the console ensures that such privileges are never accidentally given or revoked. Additionally, SharePoint offers an easy-to-understand web app for the easy management of admin controls and team sites, and is accessible via a mobile device. This is just one of many SharePoint Online facets that promote mobile management of users’ files and the option to manage those files and sites on the device of their choice. While on-premises servers shackle users to their desktop work device and require irritating technology like VPNs, SharePoint Online gives organizations a number of flexible ways to work. Collaboration and productivity are no longer restricted by device or location with SharePoint Online, and users are free to work how and where they want. Certainly, some organizations have concerns about migration to SharePoint Online, and those concerns deserve to be addressed. Often times, cost, the need for IT and end users to adjust to the new features of SharePoint Online (and how that adjustment might affect efficiency), and security are the big hang-ups keeping companies wedded to their servers, but many of these are ultimately misconceptions about the long-term benefits of adoption. While some organizations are concerned about so-called ‘hidden costs’ of adopting SharePoint Online, many of these costs–such as third party integration–are in fact a boon to organizations looking to make the most of the platform. IT often expresses concerns that adoption will force them to change many of their duties, but once again this ultimately benefits an organization looking to optimize their storage and collaborative potential. the end, the cost of maintaining clunky file servers is far higher than that of a migration to SharePoint Online. As for security, SharePoint Online’s admin console goes a long way, but, even more than that, Microsoft offers a number of additional features that can help assuage customer concerns, including Office 365’s compliance and security controls. Additionally, Office 365 has recently introduced a slew of new features to help its users fight cybercrime, including adjustments by which admins can control how emails and documents are shared, and whether or not they can even be forwarded or copied. This means, admins can not only control who data is shared with, but how those users share it in return. Along with the ability to recover files as a method of ransomware prevention, to test links in Office 365 applications, and a number of new features for email encryption, Microsoft and SharePoint continue to go above and beyond for user security. All of these features gesture towards the paramount strength of SharePoint Online: its adaptability and customizability for users. While users of on-premises servers are ultimately stuck with the features their servers provide, SharePoint Online offers an ever-evolving suite of functionalities that address collaboration, storage, and security challenges on a regular basis. By migrating to and adopting SharePoint Online, organizations broaden their toolkit and enhance their efficiency. For this reason above all, SharePoint Online is more than capable of offering an alternative to on-premises servers. It offers a superior replacement.